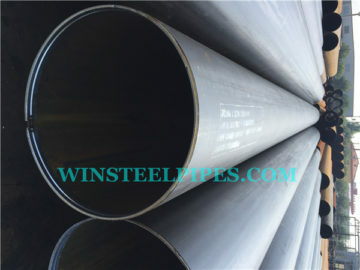 Winsteel Group, as a lsaw pipe mill, we have all kinds of steel pipe certificates a lsaw pipe manufacturer should have. CE certificate (PED and CPR). 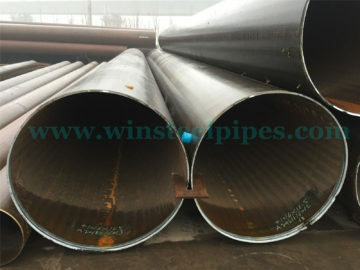 We are professional lsaw steel pipe manufacturer, and we have more than 15 years pipe export experience. 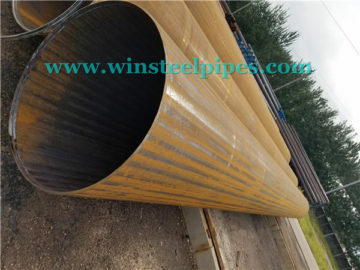 And we got these steel pipe certificates for decade years. 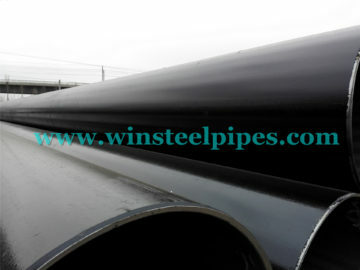 We will do our best in supporting high quality product and delivering goods on time and safely. 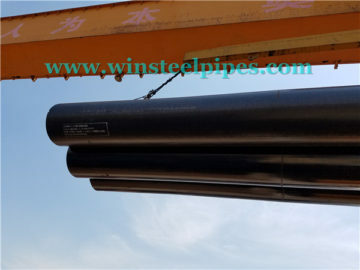 We will provide all documents required ahead. 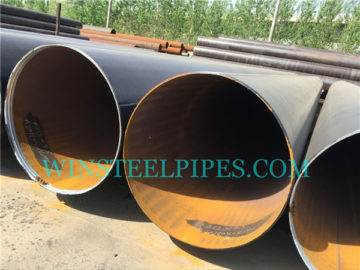 As a LSAW steel pipe China factory, we can provide all sizes of lsaw pipe from 406 mm to 1524 mm with high quality and better service. 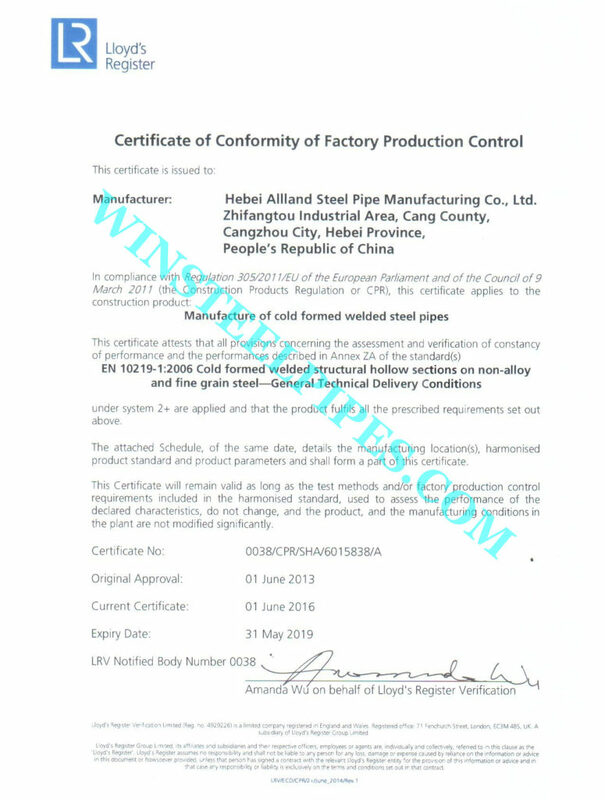 If you want to take part in some tenders, we could supply our factory’s certificate and documents which you need. 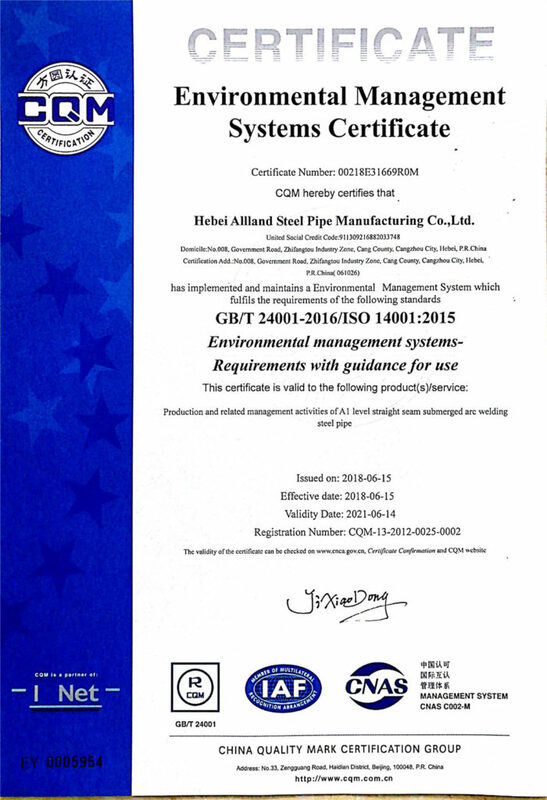 Such our category, our certificates. 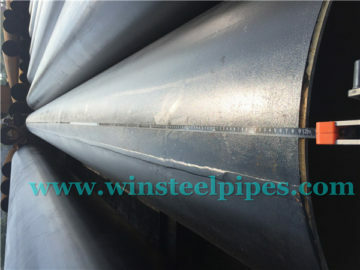 We will do our best to help you. 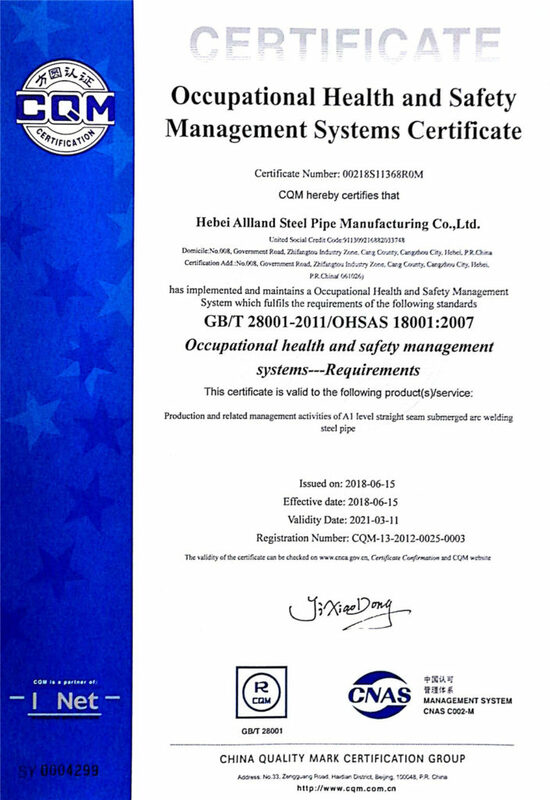 OHSAS 18001 Certification is an international standard which provides a framework to identify, control and decrease the risks associated with health and safety within the workplace. 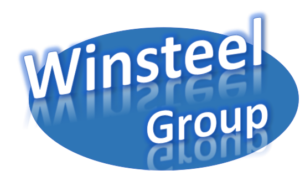 Implementing the standard will send a clear signal to your stakeholders that you view employee’s health and safety as a priority within your organisation. 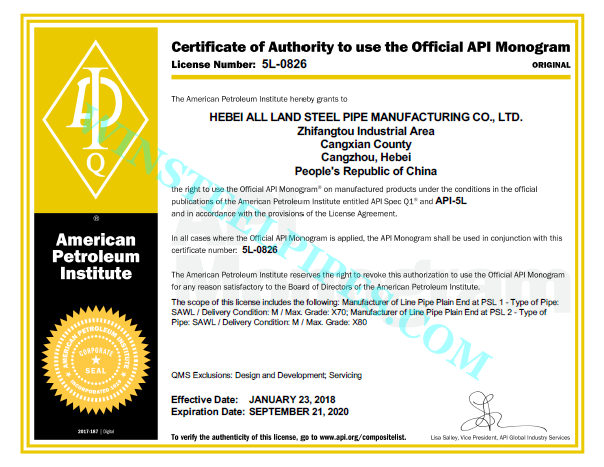 Winsteel Group Co.,Ltd (Hebei Allland Steel Pipe Manufacturing Co.,Ltd) have got API 5L certificate for decatd years. 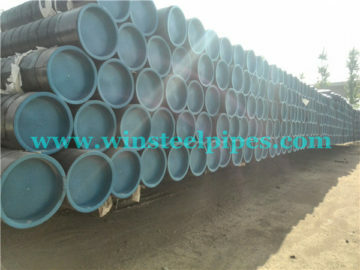 And we are professional lsaw steel pipe manufacturer. 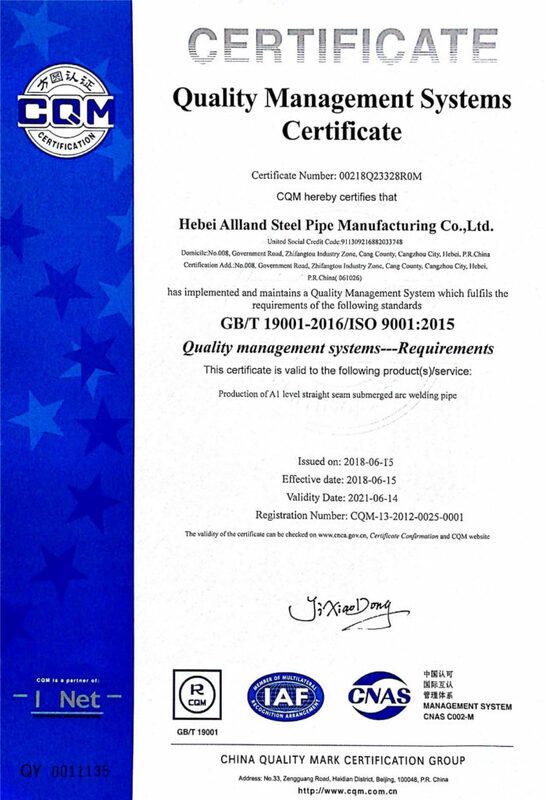 And we also have ISO 9001 certificate, EN 10219 Certificate, and ISO 14001 certificate and OHSAS 18001 certificate and etc.